Most of the time I’m sharing food ideas and fun treats that the entire family would like, but sometimes after a long day at work or a long week for that matter, I like to create a treat that is just for me (and sometimes I’ll share with Wayne if I’m feeling extra nice!). 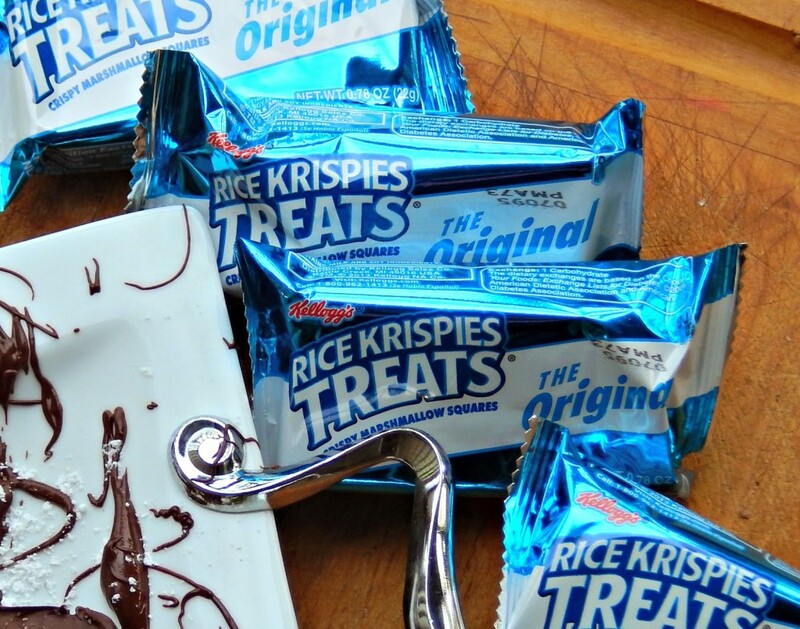 Who doesn’t love Rice Krispies Treats®? 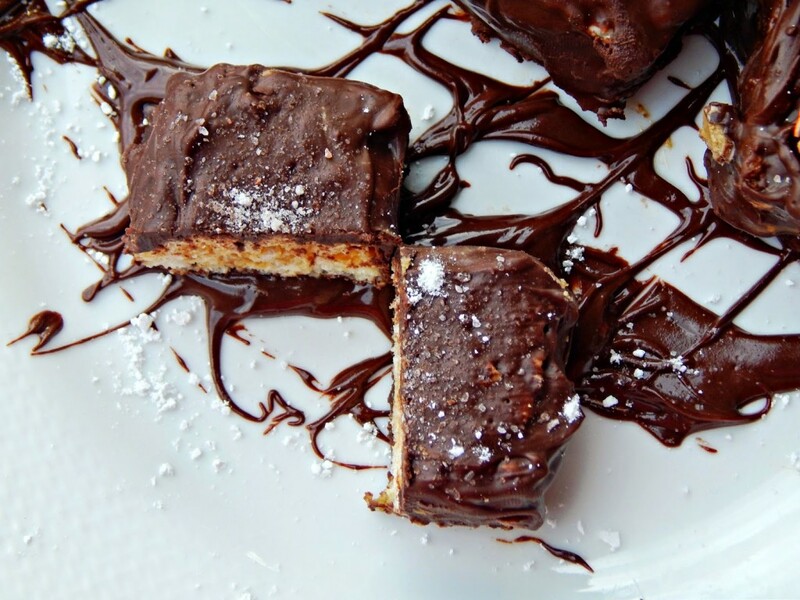 They are easy to have on hand and I can quickly transform them into a dark-chocolatey-peanut-buttery-mess of a treat! These little bites have been sliced in half, slathered with Peanut Butter, dipped in dark chocolate, and then topped with some of my favorite things, like Peanut Butter M&M’s and Sea Salt! They only take a few minutes to make and make a delicious treat to nibble on while you watch a little TV before bed and sip on your favorite drink. 1. 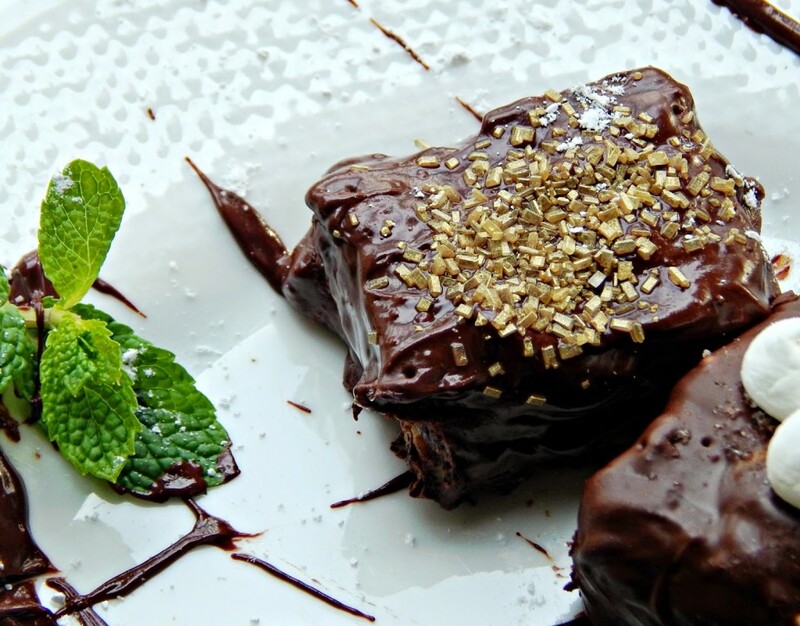 Melt chocolate over medium heat using a double broiler. 2. 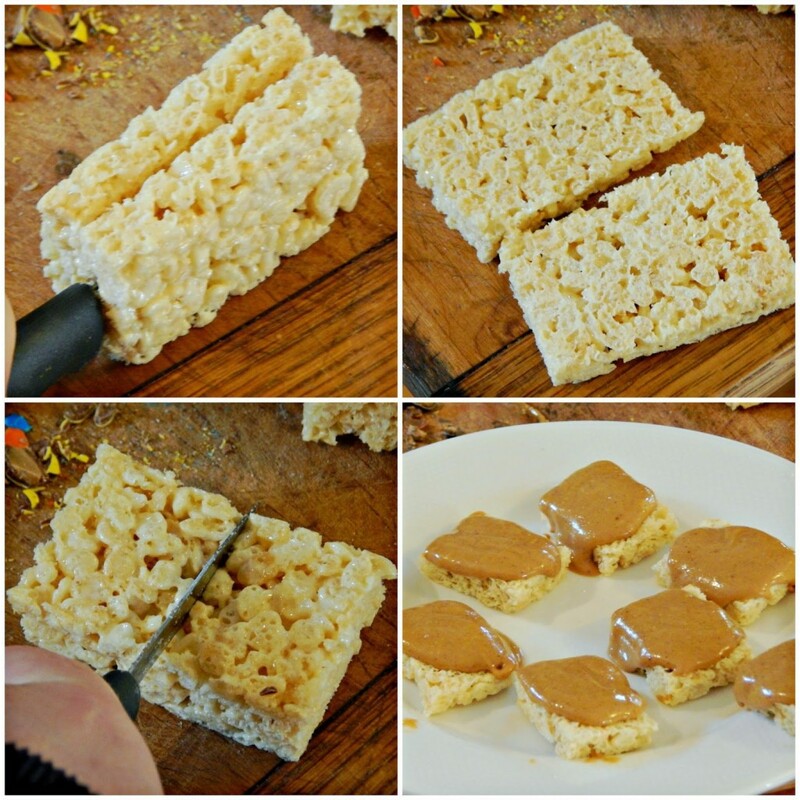 Remove the Rice Krispies Treats® from their packages and slice each piece in half lengthwise and then again vertically – creating four pieces out of each treat. 3. Spread peanut butter on half of the pieces and then cover with remaining pieces, creating a ‘sandwich’. 4. 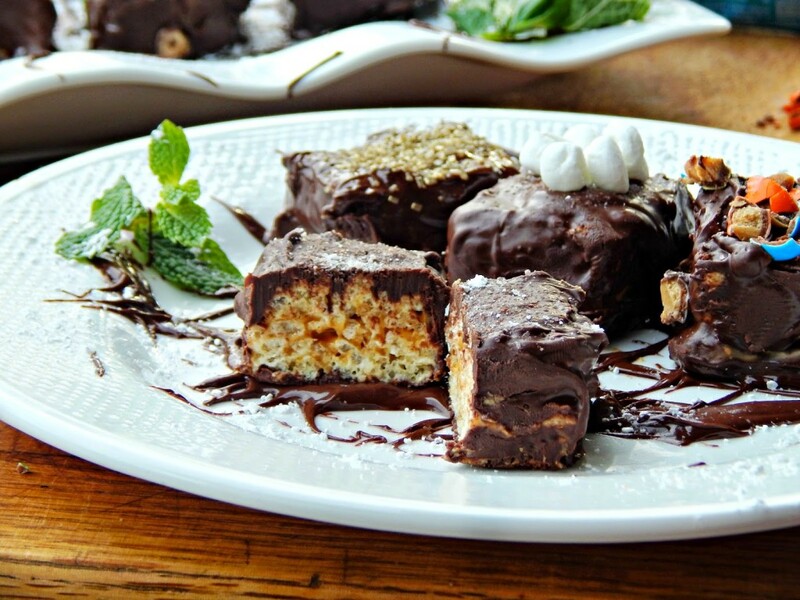 Dip each piece in the melted chocolate covering completely, and then place onto parchment paper. 5. 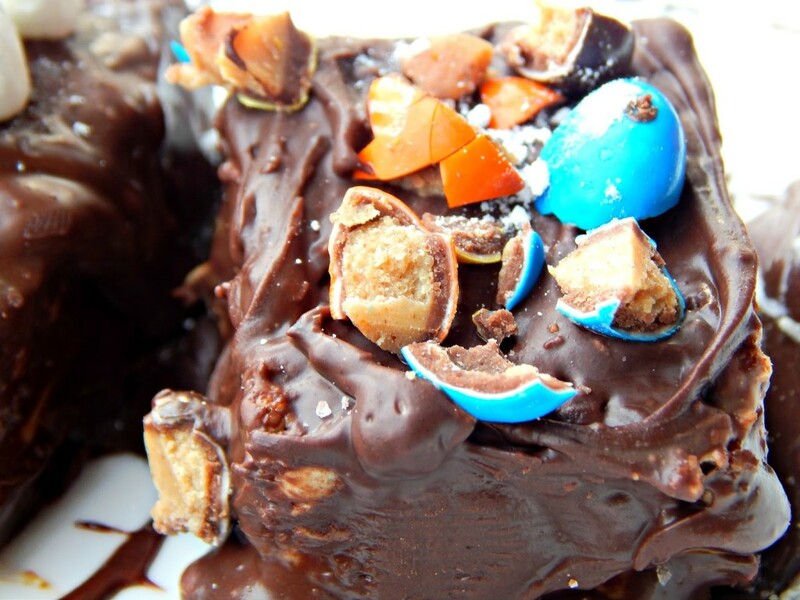 Top with sea salt, chopped Peanut Butter M&M’s, or diced JET-PUFFED Miniature Marshmallows. 6. Let them dry, then enjoy! 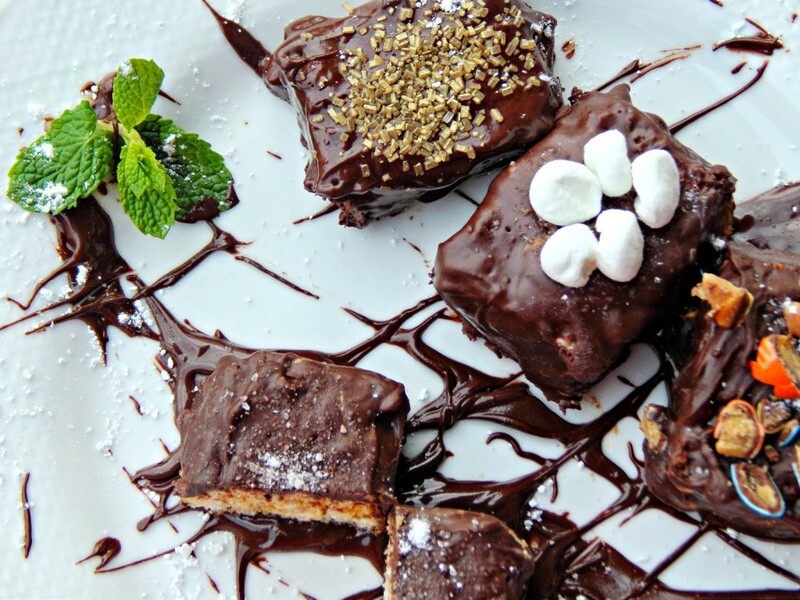 If serving to guests, place one piece onto a dessert plate garnished with melted chocolate, confectioner’s sugar and a mint leave for an extra special touch! I found the Rice Krispies Treats in the same aisle where you’d find breakfast bars or fruit snacks at Safeway. Cast your vote via Social Media on Twitter, Pinterest, and Instagram. 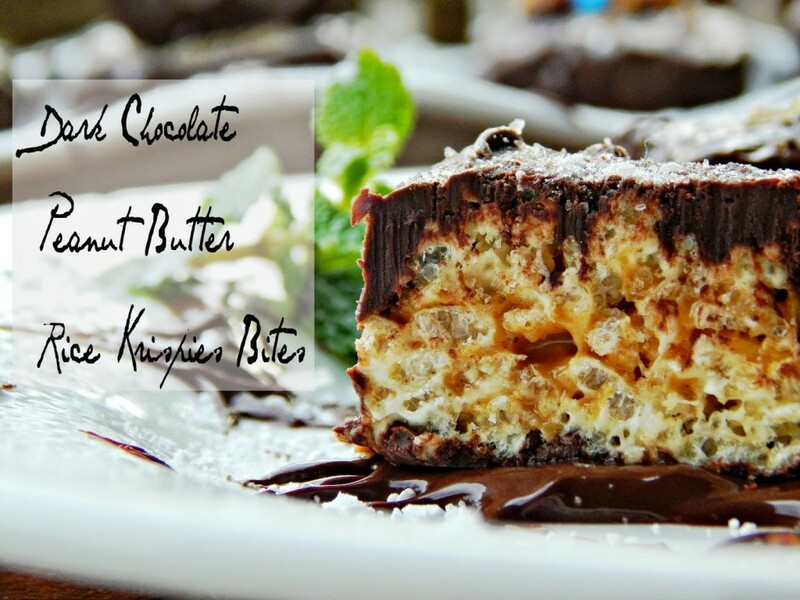 Include the hashtag #RKTreatSweeps as well as the recipe for your vote. All Social Platform posts must be posted to a non-private Social Platform account, must include the Hashtag and link to post must be shared or sent to Sponsor using the email address noted above. Limit one (1) entry per Week by voting using a Social Platform. 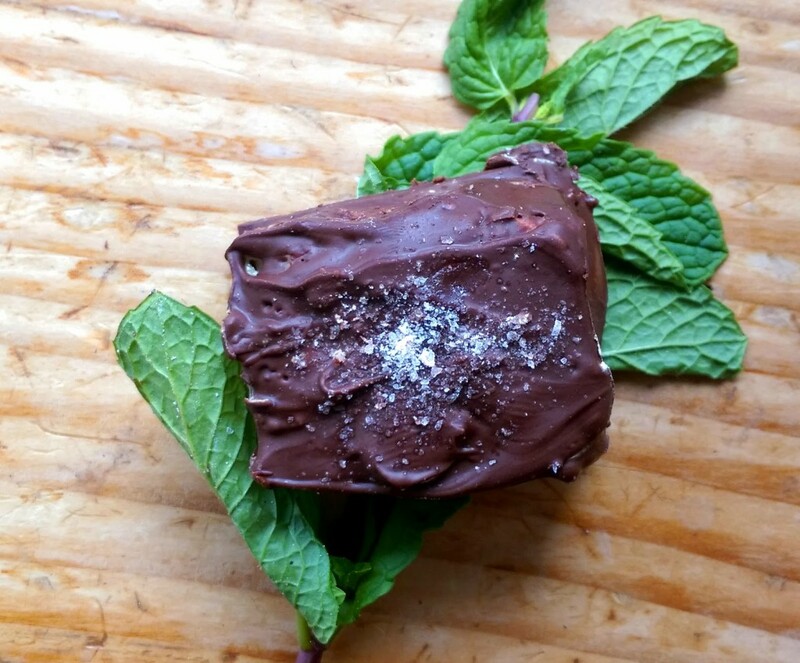 Do you have any simple treats you make for yourself after the kids are in bed? These looks so delicious! What a great way to amp up a treat! Thank you for sharing these at the #SmallVictoriesSundayLinkup!